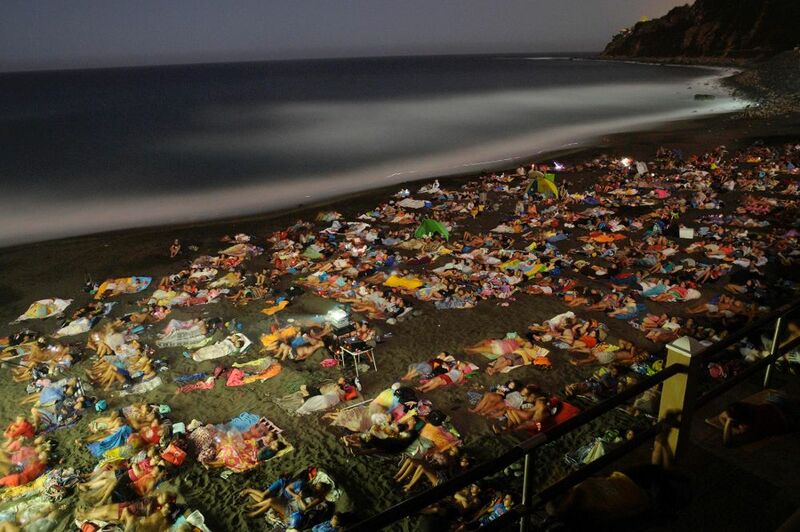 The coast of El Socorro opens tomorrow, from 21.30, a new edition of “A beach movie” programming with “Samba”. This cycle will continue until next Saturday. The realejera beach of El Socorro again be the stage of the cycle “A beach movie” this week with five days of screenings outdoors. The activity is organized by the Department of Youth of Los Realejos, who heads Dario Perez, and this year will feature five films screened between Tuesday 9 and Saturday 13 August. All sessions will start at 21:30 hours. The mayor of Los Realejos, Manuel Dominguez, highlights “the work once again of municipal technicians in the area of Youth to program one of the most anticipated initiatives of the year by realejeros and residents of other localities where El Socorro becomes the best outdoor setting for these summer nights, “said the leader of the Popular Party. Dario Perez also realized an information campaign complementary cycle “A beach film” with the collaboration of the Department of Environment and Services company Realserv, in which advice and awareness messages for respect will be disseminated and environmental care of our beach, content that will not only present in the brochures that are distributed with the posters of films, but also a video prepared by the Municipal School of film and Television of Los Realejos to be released during the screenings and through social networks. The five projections this week are free of charge.